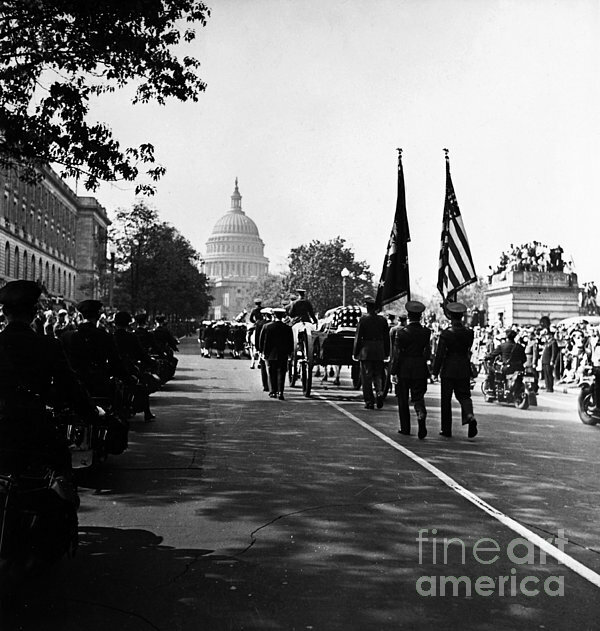 There are no comments for Fdr: Funeral, 1945. Click here to post the first comment. FDR: FUNERAL, 1945. 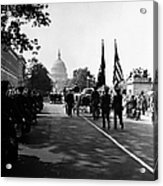 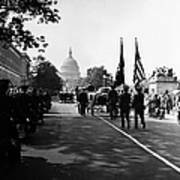 Funeral cortege for President Franklin D. Roosevelt approaching the U.S. Capitol from Union Station, Washington, D.C. Photographed 1945.